You may plan your finances ahead, yet unexpected expenses may arise anytime. It can be an important purchase, medical emergency, short-term costs, urgent repairs that can’t be kept off for later. Such events may create an economic crisis that you do not have funds for, but can manage the expenses with a small cash loan or personal loan. In a payday loan, instant cash is disbursed in just few hours from the loan application, whereas in comparison, the traditional bank loans such as personal loan, cash disbursal takes more time, and the loan is harder to get approved. Not many understand what a short-term or small cash loan is, and may equate it to personal or other types of traditional loans. However, both differ greatly from each other in many ways. What are Small Cash Loans and Personal Loans? An instant cash loan is a fast solution to financial problems. Individuals can borrow money for a short-term (3 months), and pay off the debt quicker. In some cases, you are supposed to provide a post-dated cheque for the EMI payments. 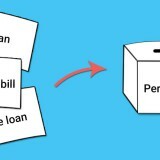 Like a small cash loan, personal loan can be taken to meet any personal needs. However, these essentially have longer repayment tenure (few months or years), and are mostly determined on a fixed interest rate. The small cash loan is disbursed the very day of the loan application, to your bank account. After a personal loan is approved, it can take a day or more for the amount to reach you. A small cash loan is perfect if the cash requirement is between 10K to 50K INR. You must pay steadily every month to clear off the debt. A traditional personal loan is best if you need a larger amount, starting from INR 1 Lakh to 25 Lakhs. You get to select a flexible or suitable EMI scheme, and repay accordingly. 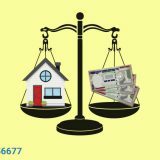 You can receive small cash loan, if you are a salaried person, and a resident citizen of India. 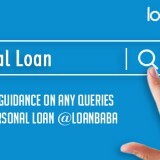 Personal loan can be taken, if you are salaried or self-employed, and a resident citizen of India. How Much of Credit Score is Needed? Even if your credit score is 600 and above, you stand the chance of getting of applying for a small cash loan. For a personal loan, your credit score must be high (at least 750), or the loan application can get rejected by the bank. What are the Other Essentials? The verification formalities are less cumbersome than traditional bank loans; this is why the money comes to you immediately. It is an unsecured form of cash loan. A personal loan is also unsecured. But, it may carry a thorough check on your bank account statements, identity proof and other documents, than for a small cash loan. Both small cash loan and personal loan are important in borrowing mechanism. Which one you choose depends on the requirement at hand. If you have a small need for cash, and can repay soon, then small cash loan is the best option, where you can skip borrowing a larger amount for a longer tenure. Next story How Does a Small Cash Loan Overthrow Debt Crisis?